Whether your home is big or small or your moving from one room or five, Two Guys Moving will make your home moving experience easy. Our team has the tools needed for safely packing your fragile dishes, lifting heavy furniture and loading and unloading your belongings. Choose one service or choose all. We have a range to fit your specific needs. Two Guys Moving wants to partner with your small business as you expand to a bigger office within the city or franchise across the state. Our team can help with your next office move, from packing all of your small supplies to moving fragile computers, printers and machines. We have the tools to package delicate items and move your items efficiently. Pianos and safes require special attention when moving and transporting them to a new location. Not only can you hurt yourself moving these types of heavy items, you can damage your possessions. From small fragile items to bulky pieces, our team is ready and equipped to move you quickly and with special care. Tell us about your next move and we'll give you a free estimate for your convenience. Moving with your trusted moving family is effortless with this pre-move checklist. From payment information to packing requirements, the checklist will prepare you for your upcoming move and help you help us. On the day of your move, our team can come in, take your payment information, move your pre-packed items and transport you in a timely manner. Our home moving services range from full-service to single-item assistance to fit your needs. Buying a new home is an exciting experience that can be tainted by packing all of your possessions and moving large furniture in a timely fashion. We're experts at moving. Let us do the heavy lifting. Get a free estimate of what it will cost to move you into your new home. Leasing space in an apartment can change frequently. If you find yourself wanting to move at your next expiring lease date, call Two Guys Moving to help. We offer same-day service for your convenience. We charge one flat hourly rate no matter how big or small the move. We have same-day services available for your convenience also. 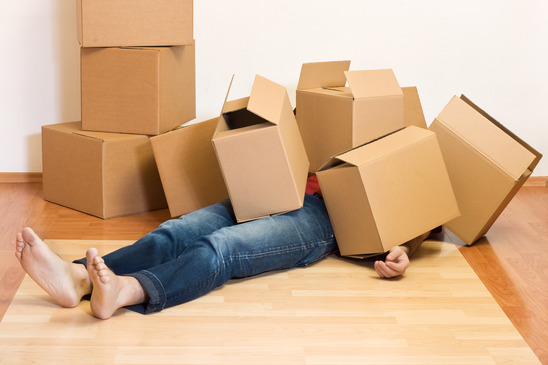 Moving can be a time consuming and hectic task. Call our team to take the heavy lifting off your list. Two Guys Moving is ready to move you within the city or even statewide. From the big cities like Austin, Houston, Dallas and San Antonio to smaller areas throughout the state, we can help make your move next to effortless. Our services don't just include transportation. Our team has all the supplies it takes to pack your personal items safely. We'll pack breakables securely and other items efficiently. We have experience packing items the correct way. If you don't need our packaging services, we can still provide the tools you need to make your next move easy. We sell moving equipment, from durable tape to sturdy boxes that will keep your items safe during transport. Two Guys Moving understands that things can come up on short notice. Maybe you've found a new job opportunity in another city or you just didn't prepare for the moving work load. Whatever the reason, our team is available to get you where you need to be with all of your belongings safety intact. If you already have the vehicle needed to transport your special items, Two Guys Moving can provide the man power to help with loading and unloading. Team up with us to do the heavy lifting and ensure safe exportation of your prized possessions.